A new "Santa Claus is Coming To Town" for our generation! 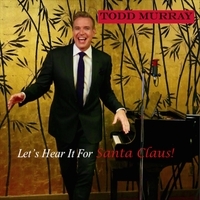 Todd Murray writes and performs this soon to become Christmas Classic, "Let's Hear It For Santa Claus." Catchy and fun!